One of my favorites glitch-hop producers, Freddy Todd from Mecha-Detroit, prepared a super duper special mix which aired on 11 May 2010 on glitch.fm. The mix includes tracks from his new remix EP "Space 5 Penthouse" released on Car Crash Set and available via Addictech (highly recommended by Doktor Krank!! 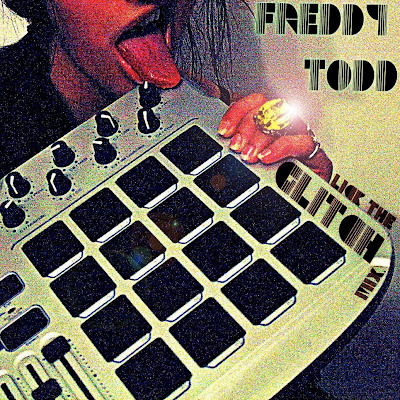 - some absolutely outstanding remixes in the pack - NiT GriT, Mochipet, Inaudible, Samples and more) plus some new tracks from his upcoming full length album due out on Run Riot Records in mid/late June, some other gems and ... ridiculously sick remixes by Freddy Todd himself, including ehmm, Darude's Sandstorm remix (sic!). Trance-turned-glitch he he he. All in all, one of the best crunky glitch-hop mixes I heard this year. A must for any fan of distorted synths and squashed basslines.